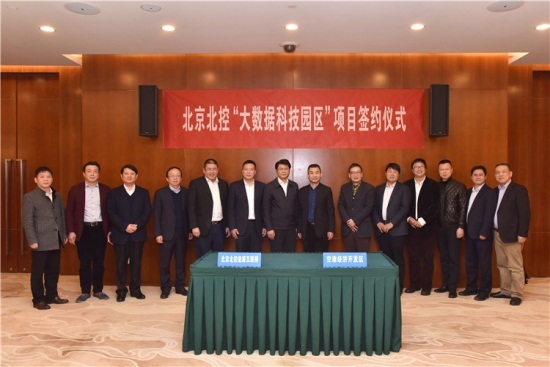 A signing ceremony launching a big data technology park project was held in Wuxi Xinwu district on Feb 20. 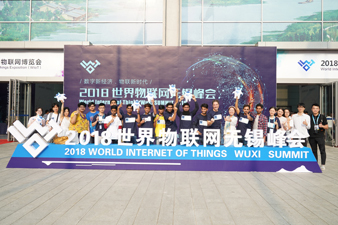 Settled in Wuxi Airport Economic Development Zone, the project will be carried out by Beijing Enterprises Smart City Energy Internet Co Ltd (BGSC), with an investment of three billion yuan ($447.8 million). Annual sales income will exceed one billion yuan and various taxes will reach more than 40 million yuan after the project is completed and full design capacity is reached. The big data technology park is a platform designed for innovative and entrepreneurial companies, providing them with free services of super-computing and data storage, as well as desensitized big data resources. Positioned to boost the development of smart cities, cloud computing, information engineering, big data and other fields, the project will create an influential cluster of innovation and entrepreneurship with complete elements and rich talents. Taking the big data center as the axis, the project aims to realize the integration of people, enterprises and governments, form a circle of big data management and operation, and attract entrepreneurial companies and talents through data opening and sharing, to make contributions to the incubation of new technologies, new services and new industries. BGSC is a subsidiary of Beijing Enterprises Group Company Limited, one of the largest State-owned enterprises in Beijing. As a high-tech enterprise in Zhongguancun Science Park, BGSC is committed to information infrastructure, data center IDC construction and application system construction for government, enterprises and urban public utilities.